Mobile wallets may soon be replacing your traditional wallets – or so technology experts want you to believe, at any rate. 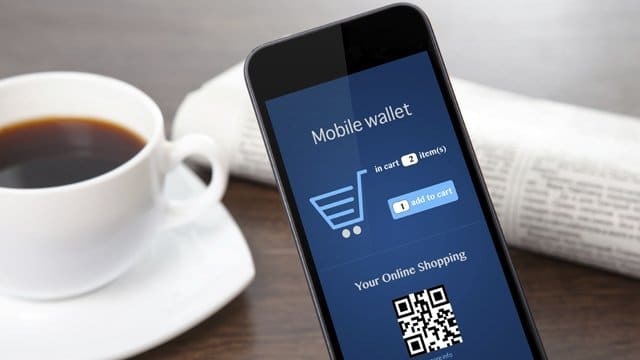 Mobile wallets are digital currency containers that will allow you to pay for a range of products at services in the real world and virtual world, saving you from having to carry around regular currency. To complete any transactions, all you would need is your smartphone. Because the medium of currency exchange is electronic, your transactions will be faster and, theoretically, more secure than if you were to pay with regular cash. So should you be excited about mobile wallets? And, more importantly, should you get yourself subscribed to a mobile wallet service? At the moment, mobile wallet technology is still in the fledgling stage, so it’s hard to tell. Also, some major players are still leery of supporting the independent currency exchange model a mobile wallet represents. So, perhaps the best approach would be to wait and see what happens. Whatever you decide, here are 7 things we think you really must know about mobile wallets. Mobile wallets are meant for more than storing currency. Just like your regular wallet is capable of holding your loyalty cards, receipts, ID cards, credit cards, tickets, and boarding passes, a mobile wallet is capable of carrying all these things too – except in a digital format. Also, a mobile wallet (depending on the service) is also capable of securing discounts at stores and netting your loyalty points. Some wallets will let you sort your purchases and remind you of the time, date and location when needed (like for a movie or a flight). While there are mobile wallets made just for smartphones, some companies have come up with, well, electronic wallets. Just like your normal wallet, these electronic wallets will carry your money for you. You can swipe multiple credit cards, debit cards and loyalty cards on these wallets to have that information stored to be used later. Some examples of these electronic wallets (or smart wallets) include Coin, Plastc, Woket, Stratos, and Dynamics. There are two kinds of mobile wallets: proximity wallets and remote wallets. Essentially, a proximity wallet requires you to have your smartphone with you while making payments. It’s also the wallet we think of when we talk about mobile wallets. in the case of proximity wallets, your smartphone has to connect with a retailer’s machine to complete your transaction. This connection is achieved through Wi-Fi, NFC or Bluetooth. Remote wallets, on the other hand, like the name suggests, are used in non-physical transactions. You don’t have to be in physical proximity to the retailer to use them, in other words. One great example of a remote wallet is PayPal. Your information is stored on a remote server and only some essential information that a retailer needs is shared during a transaction. Remote wallets have, of course, been around for longer than proximity wallets and are much more widely adopted (though they may not always be termed as remote wallets). Is a mobile wallet fully safe to use? While it isn’t completely safe to use mobile wallets, it’s certainly much safer than using regular cash for your transactions. Mobile wallets use encryption technology that protects your data while you broadcast it (when making payments). If a third party were to ever intercept this data, they would have to break through this encryption first (which is very hard to do). Experts opine that mobile wallets are much safer than regular cash or swiping your card at an ATM/ your local store. However, if you ever happen to lose your smartphone or it gets stolen, you’re in trouble. When you want to search for something on the web, you turn to Google. However, if you want to get yourself a mobile wallet, Google Wallet Card probably won’t satisfy all your needs. Because mobile wallets are so new, no single wallet provider is leading the race at the moment and no single technology has emerged as a clear winner either. There are major players in the market like Google, Apply and PayPal, and we think chances are one of these biggies will corner the market eventually – simply because they have the money for R & D that smaller players lack. You’ve probably heard of cryptocurrencies like Bitcoin and Litecoin among others. While Bitcoin (and other similar currencies) have the potential to replace real-world money, the number of people using these currencies is very low. Why should you care about the cryptocurrency? It offers its users several benefits like complete anonymity during transactions, complete control and access to funds (no government owns it, or can stop you from accessing it) and more transparent transaction processes, among others. Mobile wallets present the perfect medium for the spread of cryptocurrency – there is no reason why you can’t store Bitcoin in your mobile wallet too, after all. While NFC technology was traditionally most commonly associated with mobile wallets, it could well be replaced by the newest and fastest iteration of Bluetooth – Bluetooth 4.0 – in the future. NFC technology once heralded as ground-breaking and innovative, has been slow to take off. Retailers, especially, haven’t exactly embraced it with open arms. Because of all these reasons, future mobile wallets will probably make use of other technology, like Bluetooth 4.0. Bluetooth 4.0 looks promising because it requires less power than NFC, it’s faster and it also has more range. As you can see from our list, a viable smart wallet should be capable of holding your most important information, work with the latest technologies, and most importantly, be secure. Many mobile wallets do satisfy this criteria, but not all of them will be accepted everywhere – at least at the moment. We recommend you wait to see if any particular mobile wallet begins to dominate the scene in the next few months.